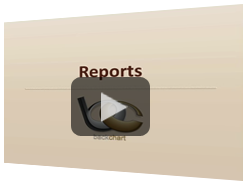 Build your business to new levels of success with our web-based Reports. Our web-based Reports will help you follow up with patients and market your business by easily tracking patient information. Our focus is to help you build your business to new levels of success. Our reports include a Billing Summary Report, Daily Visit Report, Meaningful Use Report, Open Incident Report, Patient Lists Report, Visit Summary Report, Word Count Reports, and more. Billing Summary Report helps you demonstrate excellent quality assurance by showing you what you billed through the billing queue for a specific time period. You can easily reconcile this data with your billing system to make sure it is accurate. Daily Visit Report helps you build your business by following up with patients. 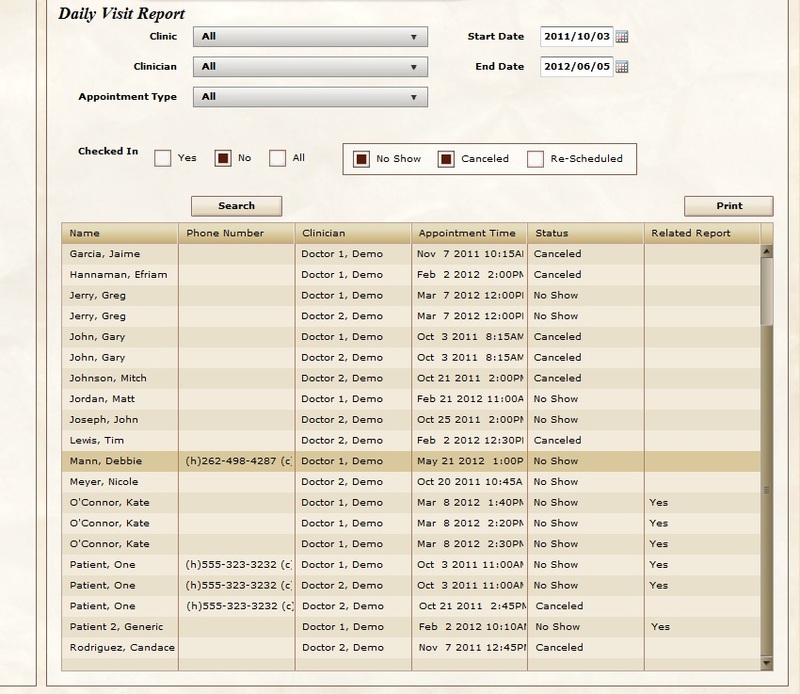 You can use this report to see what patients had no-shows & cancellations over a range of dates. View a list of those patients' contact information to quickly follow up with them. Run queries based on clinic, clinician, and appointment type. You can also use this report to reconcile billing to see if a bill was created for a patient. 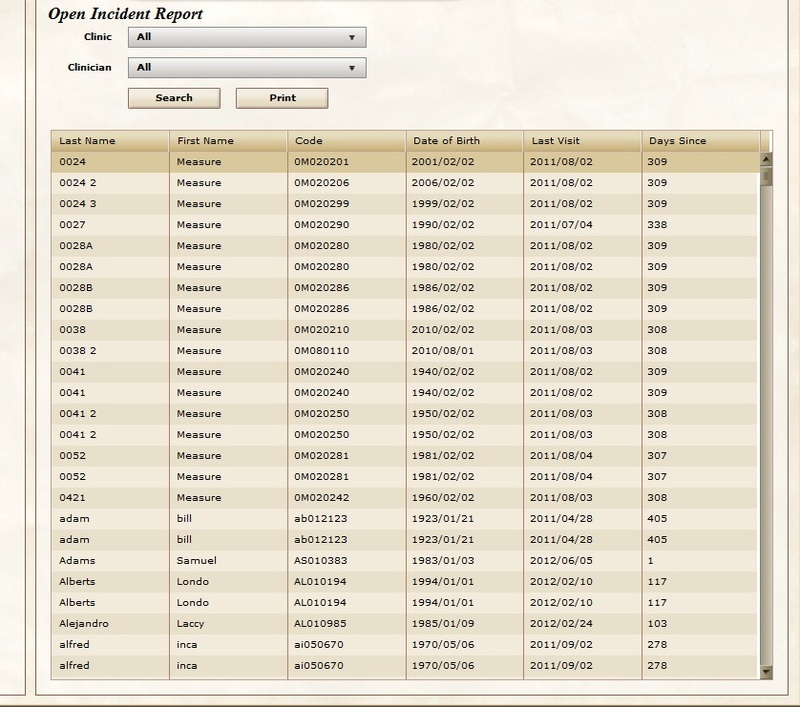 Open Incident Report helps you provide better patient care by viewing a list of your open incidents. This report is important for patients who have not been discharged. You can easily follow up with patients to quickly resolve their incidents. Run this report once a month to see which patients need to be contacted. 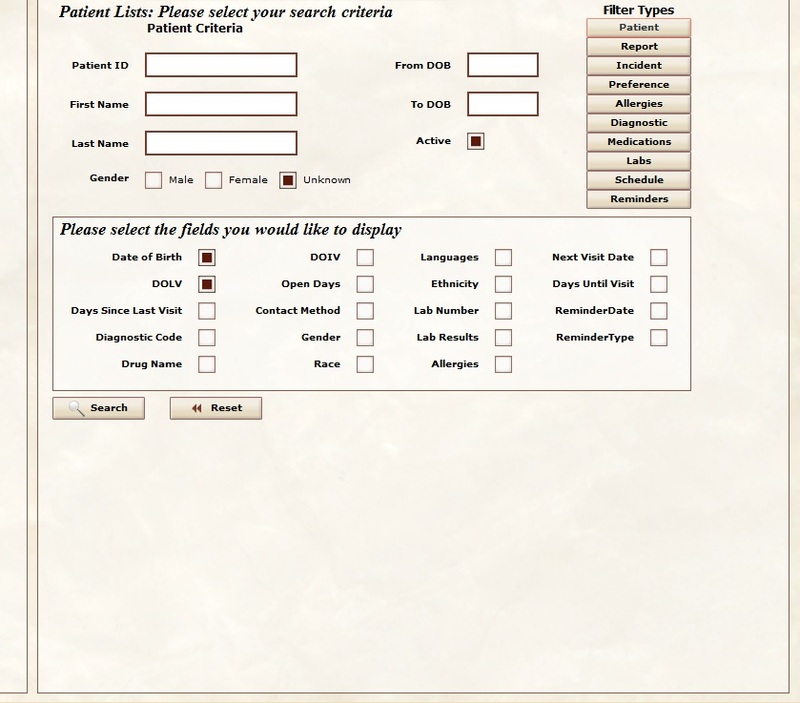 Patient Lists Report helps you provide better patient care by viewing lists of specific patient information. This report allows you to search your patient population using several criteria. Create follow up plans showing patients who have certain criteria. Research specific data pertaining to patients in areas that include: reports, incidents, preferences, allergies, diagnostic codes, medications, labs, schedules, or reminders. Compare patients with similar problems to see how you treated these patients. 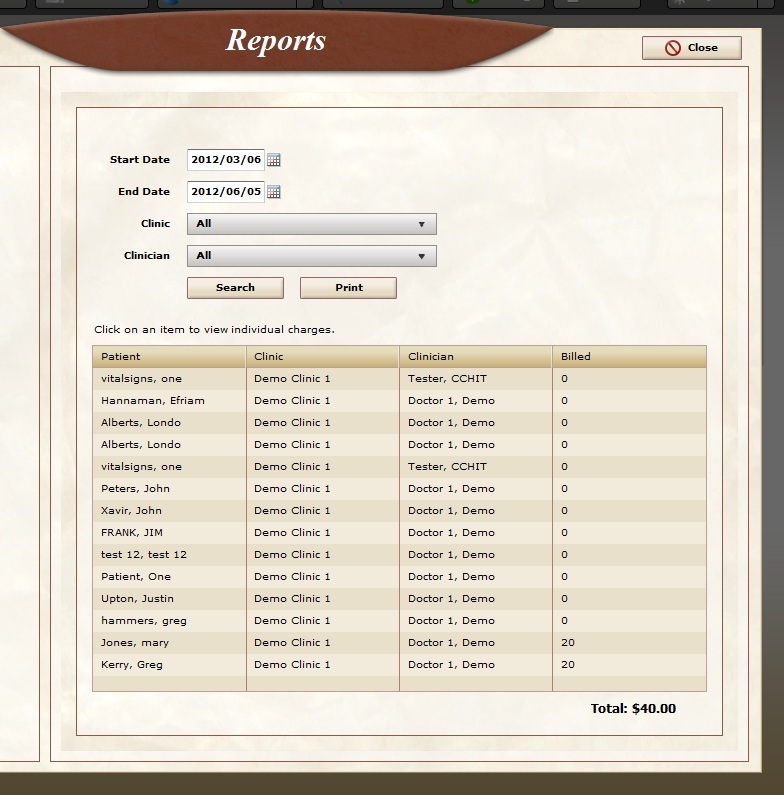 Visit Summary Report helps you build your business to new levels of success by providing you with practice statistics. 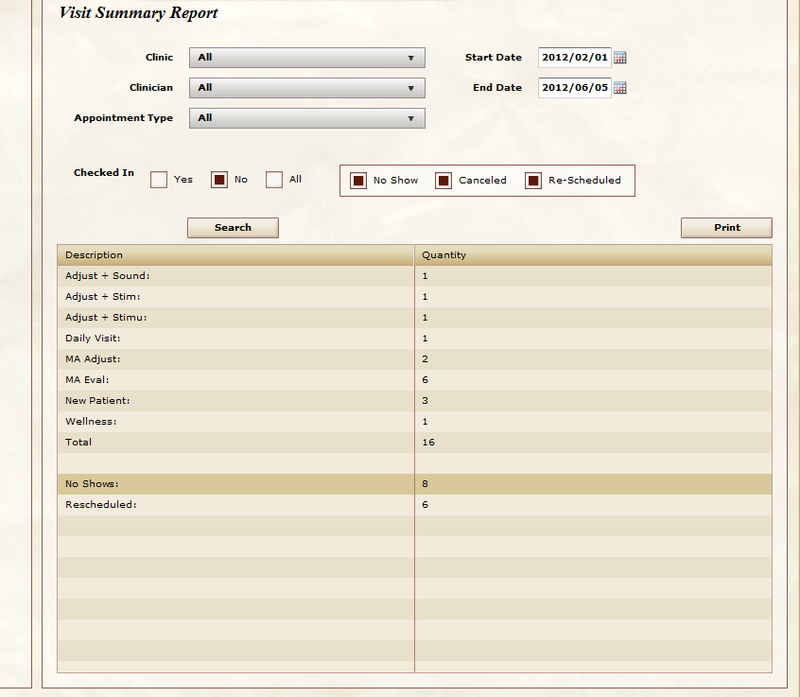 This report provides you with statistical totals of your appointment types & statuses. This report helps improve your practice by showing you how many patients you have seen & how it compares to the last month, quarter, or year. Easily benchmark your performance and set goals to surpass current performance. Word Count Reports helps you maximize your return on transcription services. Use this report to reconcile with your transcriptionist to verify the words they billed you for. 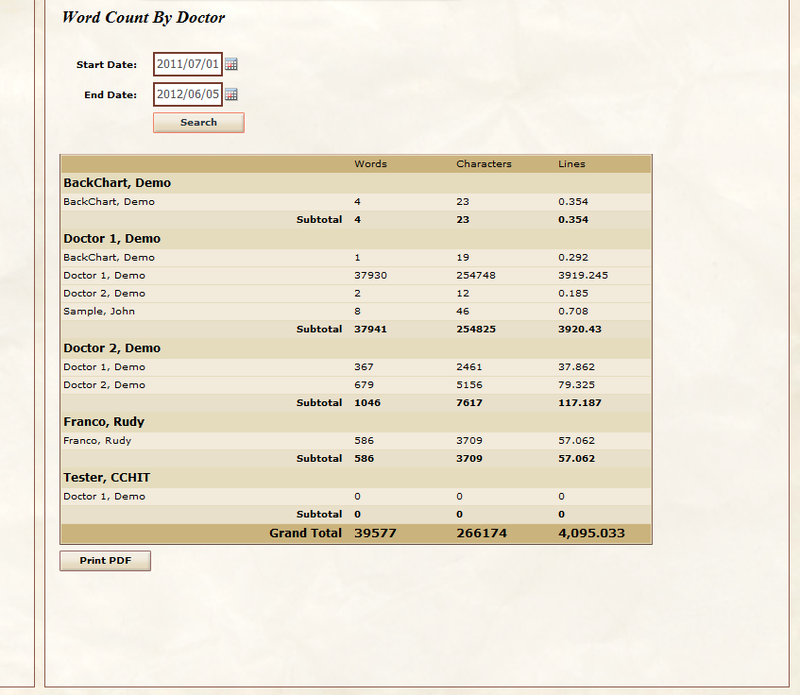 Generate reports showing word count, number of characters and lines according to the clinician and/or office.